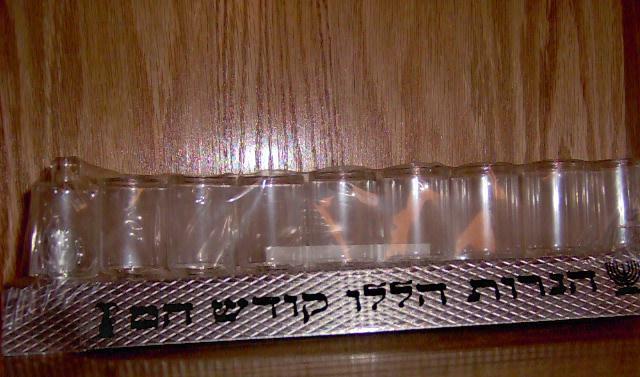 In the above picture: Beautiful hand-made BEUR CHAMETZ, SEARCH FOR LEAVEN by artist in Israel. Each product is signed and has serial number. 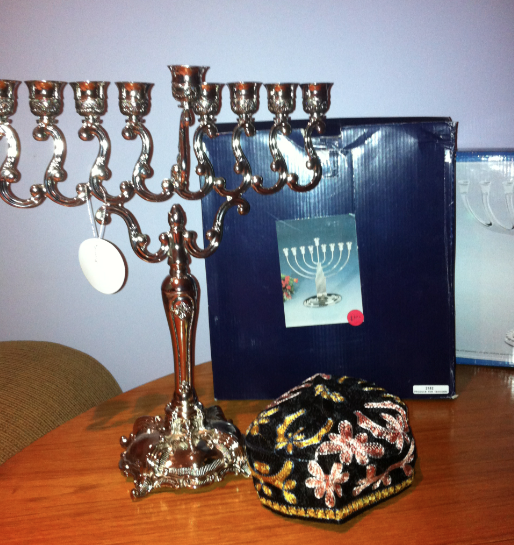 Hanukkah items – Now in Stock! 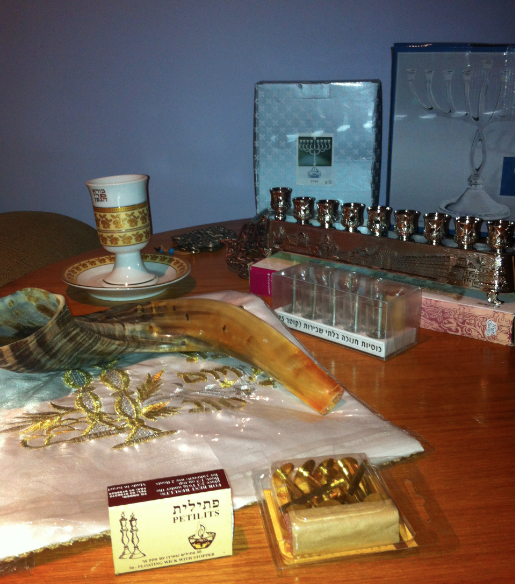 WICKS, SHOFAR AND KIDDUSH CUP WITH 24K ORNAMENT. A kosher home is an important element in the foundation of Jewish life. Jewish dietary laws, a kosher kitchen is designed to separate items used for preparation and serving of meat and dairy meals. Ideally, cookware, utensils, bowls, and dishes would be stored in separate drawers and cabinets. In order to receive the best design, look for help and advice from a Kitchen Designer who specializes in kosher kitchens. If space and money were not an issue, you might look at a symmetrically designed kitchen with two separate but equal halves for storage and preparation. Because space and money usually are a concern, you will want to create the most functional space that provides the elements to follow your personal level of dietary observance. Organization and storage follow personal preference. You may prefer to locate your dairy items (as a group) separately from your meat items or mix and match by work centres, i.e. meat utensils on one side of the cook top and dairy on the other. The mix and match option usually provides a more efficient use of your time–which is also very desirable. Depending upon your level of observance, you may wish to have two separate sinks, two disposals, two dishwashers, and two ovens. Stainless steel can be koshered (to make kosher) to allow for separate use of dairy and meat items. Therefore, you could use a single stainless steel sink and dishwasher. However, since this option would require the item to be koshered in between crossover usage you might want to consider your time and effort vs. the cost and space requirements of the second item. The biggest challenge in designing a kosher kitchen is to create a kitchen that doesn’t look like a complete appliance lineup. You can do anything aesthetically that you like. 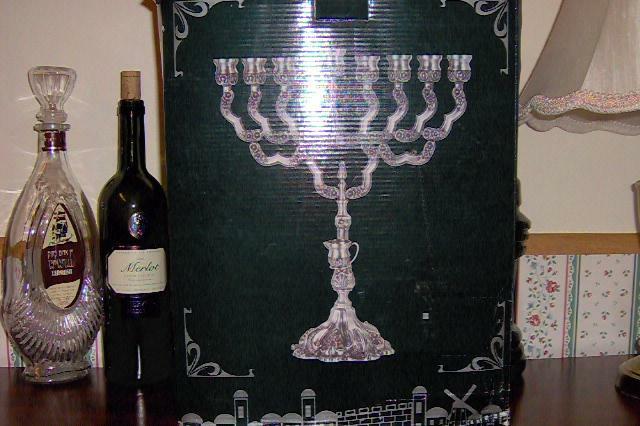 But to uphold Orthodox Jewish traditions you need separate preparation, cooking, and cleanup areas for dairy products, for meats, and for any dairy, which includes all other foods, such as vegetables, fruits, eggs, and fish. Some kosher kitchens includes two sinks, two ovens, two microwaves, and two dishwashers. New York State Kosher Restaurants – The restaurants linked here are listed for informational purposes only. This does not imply an endorsement by Congregation Beth Yehuda of the kashrut of any of the establishments. Some restaurants are open on shabbat, some have supervision in name only or may have other aspects of their supervision that might bring their kashrut into question. If you are interested in visiting any of these restaurants, you must first verify that they are still open, as well as investigating the legitimacy of the hashgacha. If you have any questions regarding the kashrut supervision, please consult your local orthodox rabbi. This page provides a list of the restaurants in New York state, sorted by region and proximity one to the next. In Manhattan they are sorted from downtown to uptown, east side to west side, and ascending street address. New York Italian Kitchen Design have designed, remodel & installed some of the Metro NY’s kosher kitchens. One-stop shopping with talented in-house kitchen designers & experienced installation crews. Wide variety of custom & semi-custom cabinetry, numerous countertop, flooring, appliance, light and hardware products. Brand names: Pedini, Aster, Kitchen Craft & Luxor. Renovation time? New House? – What about your Mezuzah? 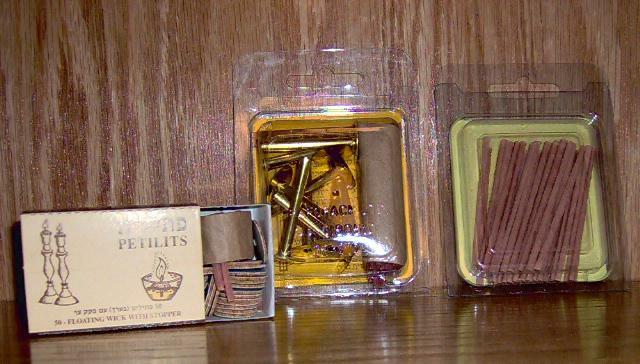 Made in Israel, accurate and finely written on high-quality klaf shelil. 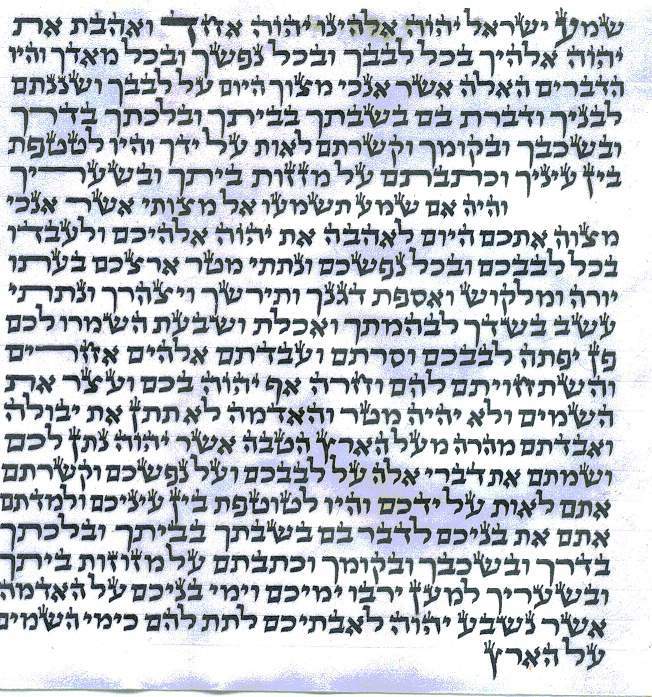 A Mezuzah is not the same without kosher parchment inside. A wonderful addition to the new or renovated house. 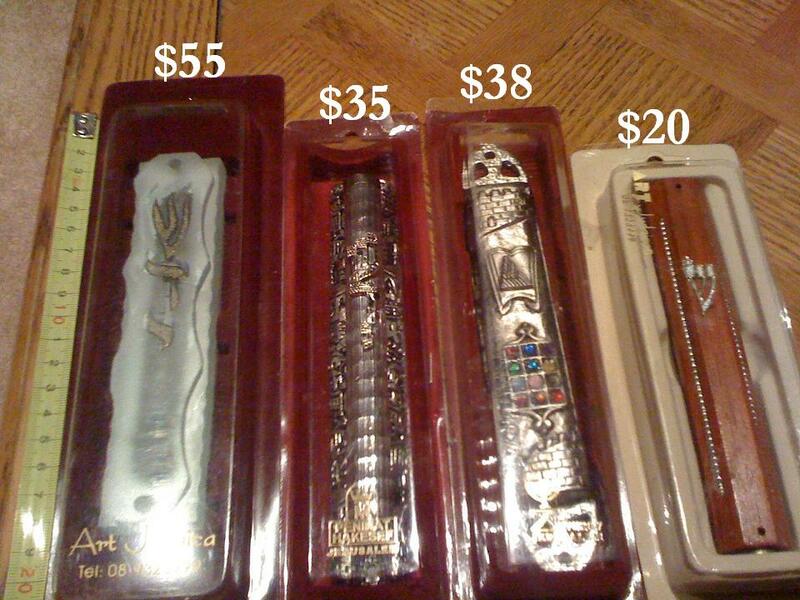 I have left with only 2 gorgeous Eshkenazee Mezuzah Inserts and 2 Sepharadic Mezuzah Inserts. They are big and they’re on sale! 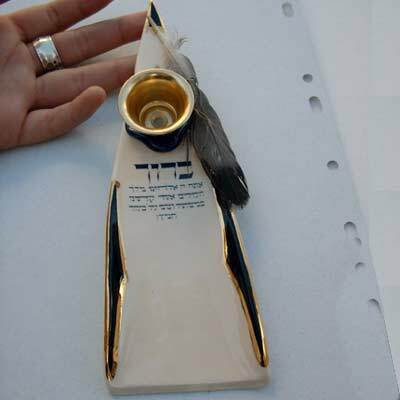 SILVER 925 MEZUZAH COVER – Comes in a jewelry box!